The Australian Communications and Media Authority (ACMA) is inviting applications for a number of analogue community radio broadcasting licences. The ACMA will accept applications only from companies that are formed in Australia or in an external territory and represent a community interest. Download application pack and application form from the official ACMA website. Applications must be lodged by midnight (AEST), Sunday November 18. 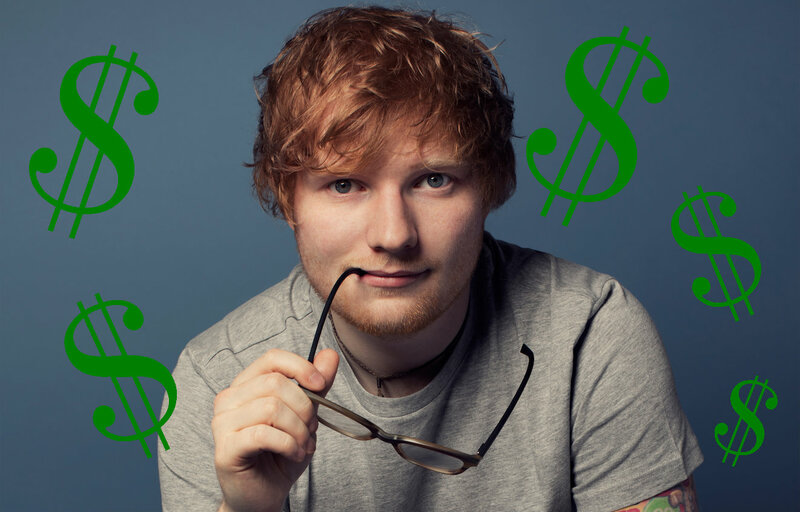 Recently released accounts of Ed Sheeran’s company Ed Sheeran Ltd showed it had a turnover of £36,293,611 (A$67,080,465.75) with a profit of £27,376,900 ($50,599,958.29). It equates to the redhead earning £75,005 ($138,629.64) a day. They also reveal that he paid more tax than corporate giants Amazon and Starbucks – despite the companies making £162 million ($299.41 million) and £2 billion ($3.7 billion) respectively in the UK. The figures show that the singer paid £5.29 million ($9.77 million) tax, in contrast to the £4.5 million ($8.3 million) paid by Amazon and £3.3 million ($6 million) paid by Starbucks. The second instalment of Seven’s All Together Now on Sunday night slipped down to 745,000 overnight metros from its debut 813,000. But it rated at #2 in the 16—39 age group, but #5 in the 25—54 and 18—49 demos. Victorian Police is investigating how a scammer sold 149 fake tickets to the September 22 Melbourne date of the travelling Listen Out festival and made a profit of $26,000. According to The Age, the scammer used the ID profile on the festival website after scamming a Melbourne uni student who had bought two Kendrick Lamar online. He never got his tickets, but his ID and fake profile used to scam the Listen Out punters. The first the man became aware his profile was used when he received angry posts on Facebook from those duped demanding to know when he was posting their tickets out. The festival confirmed the ticket was scanned 149 times. Only the first purchaser was allowed in. The others were refused entry as the ticket had, of course, already been used. One victim contacted police, the Australian Cybercrime Online Reporting Network and his bank, but was unable to get his money back. Coming n December is a new geolocation app FindMyFans which uses social media likes and streaming history to help unsigned acts find where their fans are around the world. This will, says founder Ravi Ramkeesoon from New York, help identify the cities where it would be worth aiming for concert bookings, merchandise sales, radio play, personal appearances and also see where their music is being streamed so they can keep an eye out for payments. Not surprisingly, FindMyFans.com is already causing waves in new tech awards circles. We won’t know until December if Australians get access to it. This week’s Melbourne festival Darebin Music Feast moves into movies, with a partnership with the newly opened Thornbury Picture House. Her Sound, Her Story, featuring 45 artists spanning six decades, there is an introduction from the filmmakers Claudia Sangiorgi Dalimore (director/producer) and Michelle Grace Hunder (producer). Patti Cakes sees a suburban underdog’s quest for fame and glory, The Punk Singer (Kathleen Hanna. of punk band Bikini Kill and Le Tigre), The Song Keepers of remote Central Australia, A Life in Waves about electronic music pioneer, Suzanne Ciani, and 20 Feet From Stardom about backup singers. BTS, the brilliant Korean boyband, have made a movie, due for global release in mid-November. Australia is on the list, with further details to come. Burn the Stage: the Movie, directed by Park Jun Soo and produced by Big Hit Entertainment / Camp Entertainment, looks at their The Wings Tour 2017 ( 550,000 tickets over 40 concerts), backstage footage and new interviews. Creative Victoria will in early 2019 launch a $2 million, four-year initiative designed to strengthen producing capacity in the independent performing arts sector. The Victorian Independent Producing Initiative is tasked to address a critical shortfall in independent producers, which will, in turn, create new opportunities across the sector. It will provide new career and professional development pathways for independent producers, especially those just starting out, and will help experienced producers expand their capacity. It will also provide a platform for producers to connect with each other to share knowledge, opportunities and expertise. Universal Music Group promoted Laura Monks to general manager of Decca Records, just as it gets set to release in Q4 records by Andrea Bocelli, Katherine Jenkins, Jeff Goldblum and Alfie Boe. She joined six years ago and was most recently director of marketing & commercial partnerships. Changes at Nova 91.9 sees Shane Lowe exit the breakfast show while the morning show’s Jarrod Walsh moved over yesterday to replace him. Mike Greco was named EVP, content strategy and business planning at Viacom-owned cable networks MTV, VH1 and Logo. He will help with program scheduling, content strategy, acquisitions, finance, quantitative research and audience insights. Clea Woods, media manager at Arts Centre Melbourne, exits her role this week on maternity leave. Kobalt’s AWAL music company promoted Matt Riley to vice president, A&R. He will be based in Kobalt’s London office and will oversee AWAL’s UK A&R team. Long time Newcastle guitarist and record producer Mark Tinson is among the presenters of new internet-only Newcastle-based radio station The new2uw. The Victorian chapter of the Australian Hotels Association (AHA) has a new president, Ballarat publican, David Canny, after Peter Burnet AM retired after a 21 year stint. This year’s item that has to be included in the short is a candle. The Tropfest ‘main event’ returns on Saturday, February 9 at Parramatta Park in Sydney. There are music categories included as well. The Sussex Hotel in Walkerville, Adelaide, has re-opened after renovations and showcasing live music and DJs on the weekends. The pub, which opened in 1843, is now owned by The Preston Hotels group, headed up by director Piers Schmidt. Other types of entertainment will be announced shortly. A study of 1021 Australians by Couriers Please found that 75% expect mass closure of brick and mortar stores in the next two years, and 59% believe that retail will be online in five years, with DVDs, books and stationary the most affected. MusicNSW’s Sound Advice session heads to Newcastle on November 10 (Cambridge Hotel) where the panel discussion is on how to plan your next release. Speakers are ArowAgency’s Tamara Georgopoulos and Elizabeth Browne and Mel Cheng from One Louder Management. The Industry Speed Meet sees the three joined by manager Sam King (Newcastle Music Collective), musician Joab Eastley (No-Fi Collective, RAAVE TAPES), booking agent Ben Cooper (LOVE AND RENT) and Bree Smith (Kingdom Sounds). With the focus now on Australian road crews, a major Australian filmmaker is considering whether to revive a project on roadies. After the horse racing nonsense on the sails of the Sydney Opera House, a crowdfunding campaign to project images of refugee children detained on Nauru has hit $113,166 – well over the target of $100,000. As expected, the two activists fined NZ$12,000 by an Israeli court for apparently encouraging Lorde to cancel her Tel Aviv show in December 2017, have tweeted they’re not in the least bit intimidated, and are in fact crowdsourcing $12,000 for The Gaza Mental Health Foundation. When Adelaide’s Fowler’s Live returns in early 2019 under new management, it will be with a new name. 5 Seconds of Summer’s two-week reign on US Top 40 radio is being hailed by the band’s UK team as a “huge achievement… in a current radio climate dominated by rhythmic records”. Cuban villagers told a TV crew that they’ve seen rapper Tupac lurking around their hood. Migos’ member Quavo addresses alleged relationship with Nicki Minaj on new track Huncho Dreams. Adelaide could get a new concert hall. Lord mayoral candidate Sandy Verschoor outlined her vision for the council-owned one-time Le Cornu site to include a concert hall for the Adelaide Symphony Orchestra, State Opera and Adelaide String Quartet as well as a music school, hotel and retail precinct. She told InDaily her idea was inspired by the Casa da Música music house in Porto, Portugal. Lucifer Lovecraft, a fan of British goth-metal outfit Cradle of Filth, was arrested in June after he turned up at singer Dam Filth’s house in Ipswich, started yelling at his wife from their garden, and freaked her out by showing her his tattoo of their daughter. Lucifer will not be standing trial, as he’s currently in a mental home. Mel B will go on trial for defamation over claims she labelled ex-nanny a ‘home-wrecker’ and ‘prostitute’. At a show in Chicago, Fleetwood Mac performed two songs by new member Neil Finn, Crowded House’s Don’t Dream It’s Over and I Got You by Split Enz. Among regional Touring Arts grants by the Victorian government, First Nations musical The Sapphires received $123,205 to visit 18 venues across the state on the second leg of its national tour. The electonica/pop debut track Falls from Sydney artist YSKA, through Tim Prescott’s Double Drummer, has generated 200,000 streams in its first few weeks. M.I.A is quitting music, for now, blaming censorship: “I have to find another way”. Ariana Grande and her Saturday Night Live comedian fiancée Pete Davidson are Split City, only, gosh, four months after announcing their engagement. Rumours from TV-land is that Ten is about to announce its own streaming service, and rebrand its One and Eleven channels to be closer to the Ten brand.